“Innovation excites us more than company turnover,” said Rajeev Chhatwal of Delhi-based Kwality Offset Printers which specializes in the manufacture of wet glue and self-adhesive labels. When it was established in 1972, the company produced cartons and cups for the ice cream industry using a letterpress. A decade later it installed an offset press and entered the label printing business, producing beer labels. Since then the company has added flexo and digital technologies to its existing offset unit. And all the three technologies are currently being used at its Naraina plant, Delhi, to produce a wide range of labels to cater to various customer needs. The company set up its digital label printing unit in February 2017 by installing a Xeikon 3030 Plus label press. “Conventional doesn’t always work for us with the time and tech pressure we’re under. We had a lot of inquiries from our existing as well as new customers for low volume jobs which were not possible on flexo,” said Chhatwal. “In addition to that, there were customers who wanted value-added label products with high resolution for luxury applications. So we decided to invest in the Xeikon 3030 as it provides a very high resolution of 1200 dpi in addition to giving us the freedom to work with stock at hand, as the substrates do not need any coating or specific pre-treatment.” The Xeikon 3030 Plus label press has a variable web width of 200 mm up to 330 mm and runs at a top speed of 15 m/min. In past one year, the number of customers seeking high quality, short-run digital labels at Kwality has grown at a healthy rate, according to Chhatwal. “We have been looking to tap this new market for quite some time now, and have achieved success lately,” he said. “Statistically, our digital volume has grown 12% since we entered this segment a year-and-a-half ago. Today it constitutes 5% of our total business, while the share of offset and flexo stands at 35% and 60% respectively.” Chhatwal sounded optimistic about further growth of Kwality’s digital volume. A digital label press is never complete without a good finishing machine. 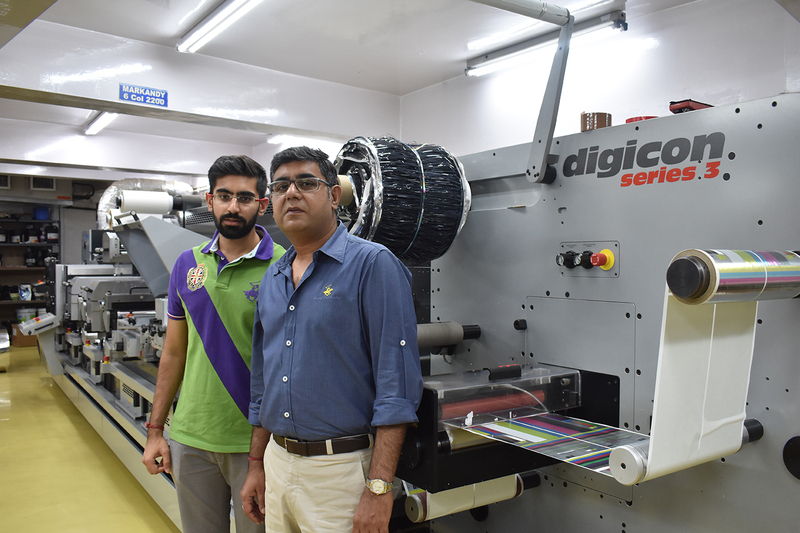 So Chhatwal added the AB Graphic Digicon 3 finishing machine soon after installing the Xeikon 3030. The sale was handled by Vinsak, AB Graphic’s India distributor. With a web width of 330 mm, the Digicon 3 finishing machine comprises two flexo units, one diecutting station, hot foiling, cold foiling, embossing, varnish, screen, lamination, waste rewinder, unwinder and three UV systems. The nutraceuticals market is a volatile one. Today’s star ingredient can be tomorrow’s evil food. That means the supplier has to keep up with fast-moving shelf space, producing smaller runs in shorter timeframes. When one of the leading nutraceutical companies wanted to push its latest product to shelf, they turned to Kwality Offset to execute just the right label, in the right delivery time, and Kwaility Offset didn’t hesitate to turn to digital printing. The fast and flawlessly produced digital label enabled them to invest more in the screen spot UV embellishment. The final finishing touch added the seductive twist the product needed to beef up its shelf presence. “This was a short-term request from one of our clients. We were able to deliver the standard quality they required. 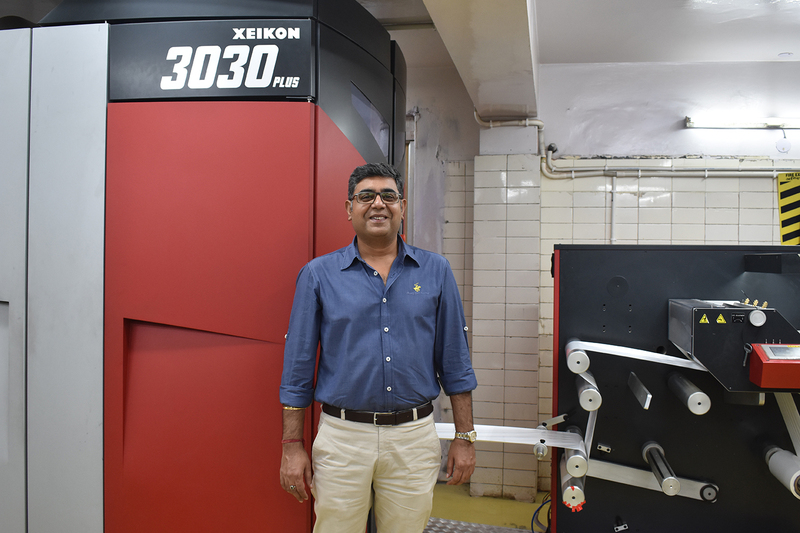 We printed the label on our Xeikon 3030 Plus and embellished it with an intricate finishing performed with screen spot UV on our ABG Digicon Series 3,” said Chattwal. The Pre-Workout 300 label won in the Nutricials/Pharma category for the Flint Group Print Awards 2017. 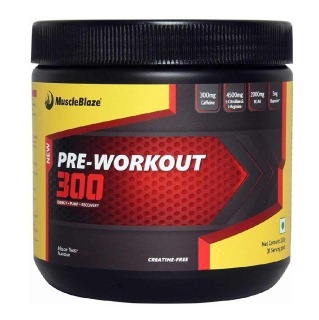 More recently, the Pre-Workout 300 label won (jointly) in the Pharma category of the FINAT Label Competition 2018. The FINAT Label Competition 2018 winners were announced in June 2018. The company also won (jointly) in the Liquid Toner Technology category for its Whey Gold label. This 56 cm label is the largest in this year’s competition. The label is printed in four colors using food grade toners on a metallized film base which gives the total label a bright metallic look contrasting with the black half of the label. A high gloss lamination layer finishes the label and aids the application using automatic label application techniques. Kwality’s flexo unit is powered by two 8-color Mark Andy flexo presses – XP5000 and P5. The Performance Series P5 was the third narrow web label press for the company, which began its flexo operations with their Mark Andy 2200 flexo machine for manufacturing self-adhesive labels. Creating a record of sorts, Kwality Offset Printer’s Mark Andy 2200 as well as XP5000 were the first ever of its configuration and model to be installed in India at that time. “We purchased the Mark Andy XP5000 press to provide high-end quality labels and packaging to the FMCG, beverage, liquor and wine industries. For us that was definitely the right press at the right time. And with our ever increasing portfolio, we were more than sure that it had to be a P5 press the next time,” said Chhatwal. 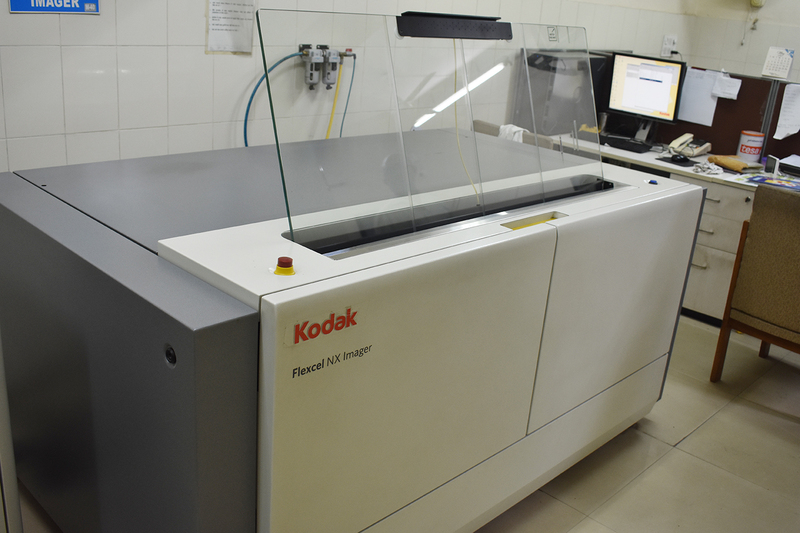 In 2014, Kwality installed the Kodak hybrid platesetter system which includes the Prinergy workflow, driving both the Kodak Flexcel NX and the Trendsetter for its flexo and offset operations. A year later, the company achieved the Kodak Flexcel NX certification for its flexo pre-press operations. “The Flexcel NX certificate has helped enhance our print quality and consistency, which is so important in the high-risk label segment,” concluded Chhatwal.